Emerging-market financial institutions have a golden opportunity to establish systems that will make them more nimble competitors for the business of the rapidly growing global middle class: the “next billion” customers. While this group is flexing their new-found muscle as consumers, many are also starting micro, small, and medium enterprises (MSMEs), presenting multi-dimensional opportunities for our clients to serve this group. These opportunities come with a potential tidal wave of data — and financial institutions that know how to capture and use this data will have a clear advantage in the marketplace. In business, we all make decisions based on incomplete information — our customers and competitors aren’t going to wait for us. Managers used to rely on “gut instinct” and high-level reports, but today we can get an edge by using technology to rapidly collect and analyze data. Increasingly powerful tools exist to help us do this, but tools aren’t enough. The tools need to be guided by experienced hands to support the right decisions — by producing accurate analysis and getting useful insights into the hands of decision-makers across the organization. Andafin has the management expertise, data analysis know-how, and emerging-markets business acumen to help build your company’s capacity and generate the insights you need to make better decisions. 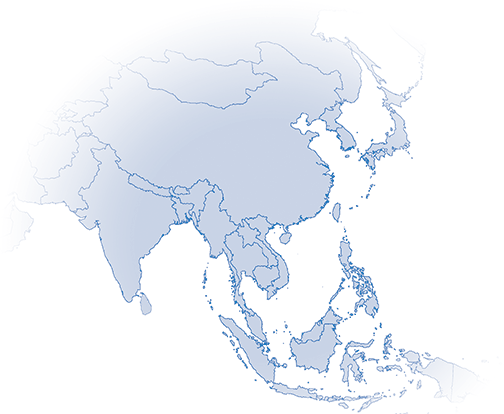 By 2030, two-thirds of the world’s middle class will live in Asia — over 3 billion people. Tools aren’t enough: Strong systems and feedback loops are crucial for getting useful insights to the right decision makers. Looking at data-driven decision making from the bottom up, most financial institutions have some type of tools to collect and report operational, financial, and marketing data. From the top down, most have senior managers who drive strategy and use the insights available to them to make decisions. Whatever the quality of those systems may be, the greatest challenge comes in the middle, assembling the right people, processes, and tools to generate timely, relevant insights that support decision-making — and delivering the right insights rather than overwhelming senior managers with too much data. Feedback should travel up and down the pyramid — but as organizations grow, often the connections get overlooked. At the top, decision makers may not know how to ask for or get the right information. 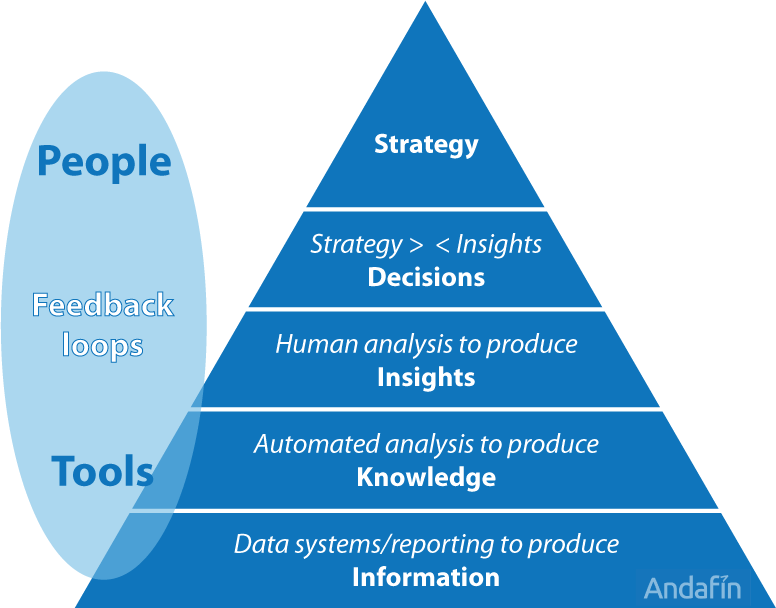 In the middle, generating useful insights requires both effective systems and a strong human element. At the bottom, systems may be collecting data that is poor-quality, or that doesn’t support strategy execution. At all levels, silos within the company may obscure decision makers’ vision — for example, operations, finance, and marketing may all have their own data silos. Andafin can help you build a strong pyramid, by identifying the gaps that are holding your organization back, and using our management and technical know-how to help you fill those gaps. We aim for an outcome where your data informs your strategy, and your strategy feeds back down to how you collect data, capture insights, and make decisions in the future. Whichever challenges you may be facing, Andafin’s consulting and analysis services can help you get the right insights to make better decisions. How should we act on it? Drawing on data analysis know-how, management expertise, and emerging markets business acumen, Andafin's extensive expertise can help you achieve data-enabled excellence.